Summary and analysis are defined and distinguished on top. 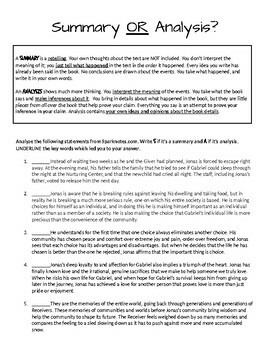 Students analyze short paragraphs to determine if these are simply summaries of the events or if they include inferences and interpretations of the deeper meanings within the text details. 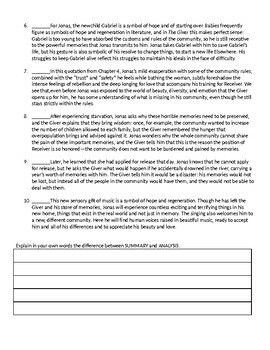 I use this to push them to think deeper when they write about the reading.